Located in Palani Hills of Tamil Nadu State, Kodaikanal is a popular hill station, promising enchanting nature and peaceful environment that is peppered with wide array of adventure activities. Kodaikanal, owing to its breathtaking scenic beauty is often referred as “Princess of Hill stations.” A visit to this place is enough to give you the reason behind it. For everyone who is looking for a relaxing break from everyday routine, Kodaikanal tour is the apt choice. This hill station boasts of amazing range of sightseeing places. However, commuting to all the tourist attractions can be slightly difficult as you have to ensure mode of transportation to take you back to hotel. Sometimes owing to the timings of public transportations, one is not allowed to spend as much time as he or she would like to at a sightseeing place. Hence, the best way to explore Kodaikanal is by booking a Kodaikanal Local Sightseeing Package. Holidays DNA offers an extensive variety of Kodaikanal tour packages including a range of sightseeing packages for Kodaikanal. You can choose a suitable Kodaikanal local sightseeing tour package from our collection and spend an unspoiled holiday in Kodaikanal where you can explore this beautiful hill station in a perfectly planned manner. We have packages of varying kinds to suit everyone’s interests and budgets. Whether you are travelling with family or with friends, with your partner or alone, we have sightseeing packages for all kinds of holidays. We at Holidays DNA understand the value of a good travel which includes not only a suitable accommodation but also sightseeing and activities. With our tour packages we strive towards presenting a memorable holiday to all our customers. 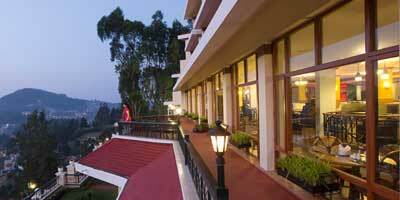 Along with varied choice of stays and other facilities, we have special Kodaikanal local sightseeing packages to make sightseeing an enjoyable experience. The package includes an exclusive taxi or other vehicle depending on the number of persons travelling. The package also includes driver fees as well as other expenditures like parking charges. With our package you need not worry about any hidden charges as the package includes everything related to sightseeing in Kodaikanal. You can just relax and enjoy your time at various tourist attractions while the cab waits to take you to another sightseeing place of your choice. Once in Kodaikanal you will find ample of sightseeing choices. Some of the places that you must visit in Kodaikanal are Kodai Lake, Bryant Park, Berijam Lake, Coakers Walk, Pine Forest, Green Valley View/Suicide Point, Guna Caves, Devil's Kitchen, Pillar Rocks, Silent Valley View, Kurinji Temple, Silver Cascade, Kurinji Andavar Temple, etc. Along with this, the tea gardens, spice plantations are also worth exploring in Kodaikanal. For those looking for adventure, Kodaikanal offers ample of opportunities for activities like trekking, camping, horse riding, etc. Our travel experts ensure that your holiday is planned in the way you like; hence the package is created as per your preference and budget. For those, who have specific requirement, we have customised local sightseeing packages to Kodaikanal. In addition to all this, our travel advisors offer 24/7 assistance to all our customers. If in case of any emergency or query, they can be reached at any time of the day. What make our Kodaikanal Local Sightseeing Packages better are the cost effective rates; our packages have been created in such a way that you avail best of facilities without going over your budget.